This is our Ephesus Marble Tile in a French Pattern Design. Marble has been popular for constructing buildings and monuments since ancient times due to its dignified beauty and durability. Marble floors has been considered as predominant choice then and even. Not only do marble tiles add quality and warmth to a room but their sturdiness and resilience also make them a favorite among construction professionals and homeowners. Over the years, the concept and ideas of flooring have become more complex and this has made French Pattern tiles one of the most sought after designs in marble flooring nowadays. French Pattern marble tiles comprise of a set of four or more tiles of assorted sizes that together make a square or rectangular pattern. This pattern is also used to create complex marble floor designs that are not square or rectangular but give an area or a room an identity of its own. 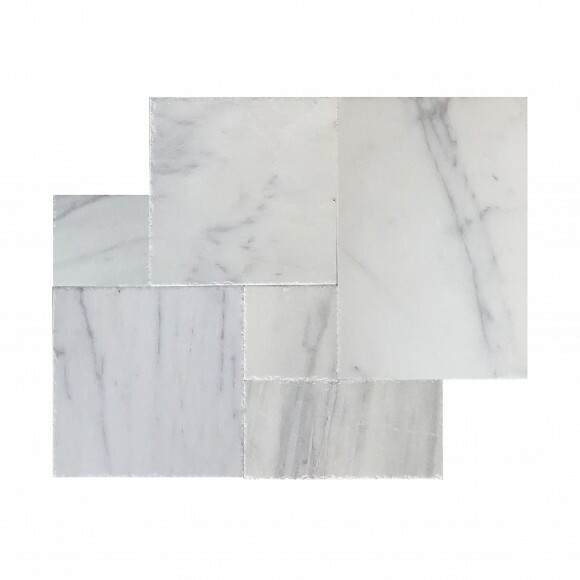 These pattern marble tiles are ideal for use across the house including living areas, bedrooms, halls, kitchens and bathrooms. They are also perfect for hotel or office lobbies, hallways, etc. 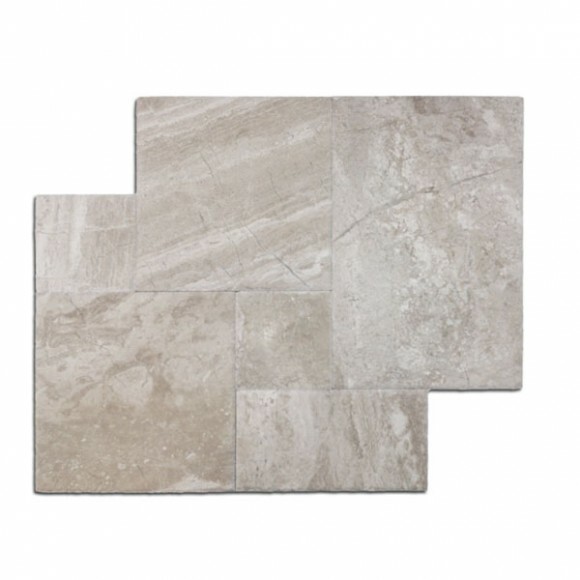 Application of these marble pattern tiles gives your floor a classic and timeless appeal. The amazing color variations in the pattern also help to provide users with unique floor designs for every room. 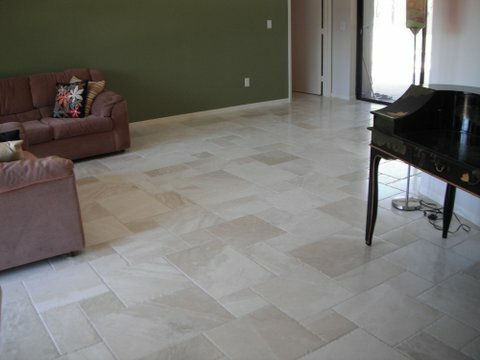 Travertine Warehouse is the perfect place for you if you’re looking for versatile and classic flooring materials to accentuate your home flooring pattern. 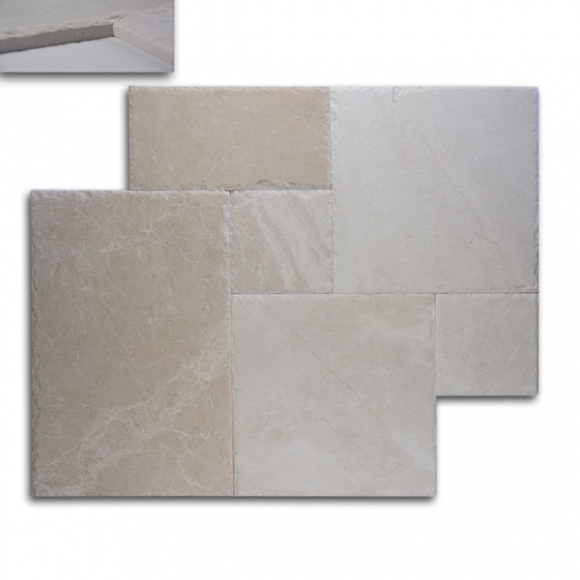 We provide elegant French Pattern marble tiles with elegant designs, colors and textures. 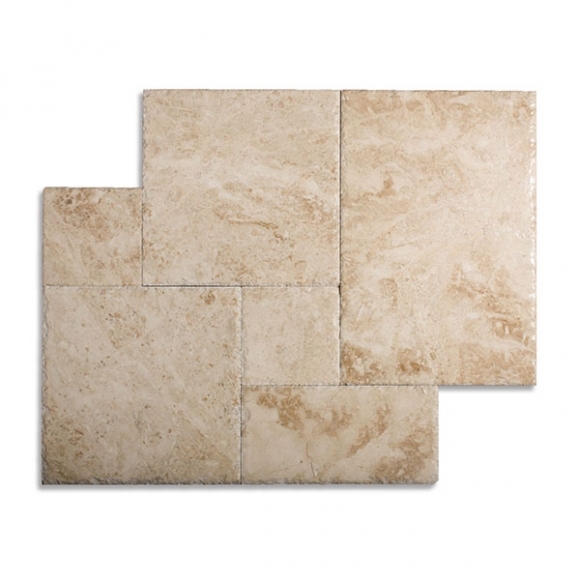 Our high-quality French Pattern tiles are imported directly from Turkey. We maintain high quality standards and offer great pieces at economical prices. Our range of marble pattern tiles includes Cappuccino, Diana Royal and Ephesus. Each pattern has its own unique style, texture and colors that let you give any kind of look you want to your house. You can use the French Pattern tiles for a vintage look or a contemporary one, a subtle elegant mood or a grandiose ambiance – the choice depends on your requirements and the house design. Order a sample and purchase the variety you like the best.